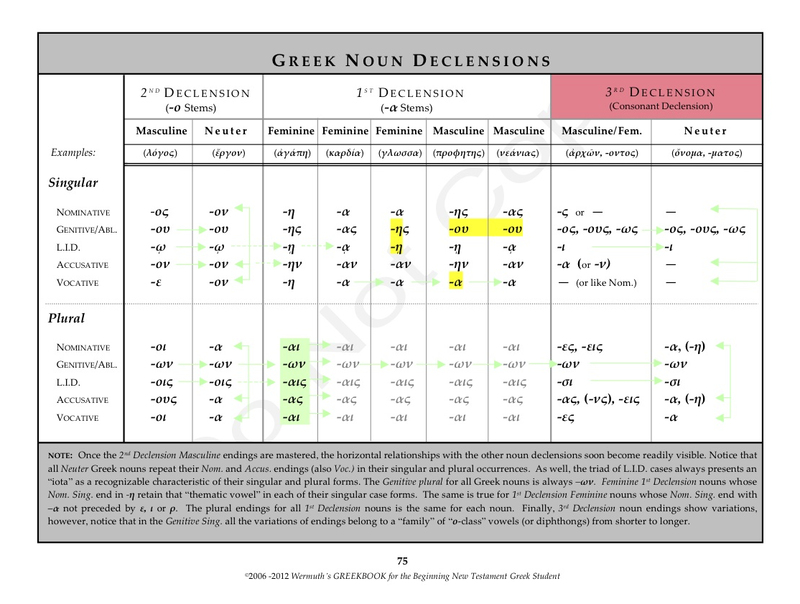 Indicative | "It's All Greek to YOU!" 1. Tense conveys “kind” of action and generally, in the Indicative Mode only, the “time” of the action. So, for the above verb, Present tense would mean both present time and continuous “action” (that is, activity “in progress” in real, present time). 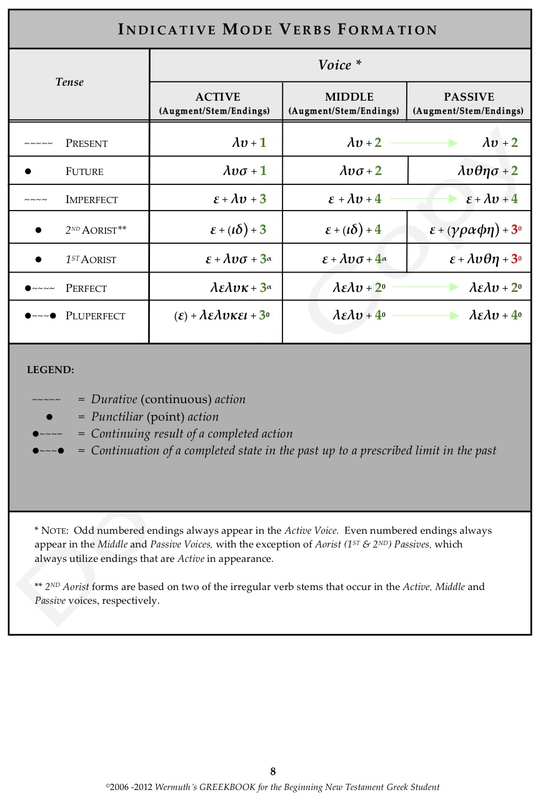 Of course, from your additional study elsewhere, you’ll know that the Greek tenses are the Present, Imperfect (continuous “action” in past time), Future, Aorist (a normal 1st Aor., and an “irregular” 2nd Aor., describing “point” or undefined action [in past time in the Indicative mode]), the Perfect (perfected action with continuing results), and the Pluperfect (equivalent to the English “Past Perfect” = I had loosed). 2. Voice (“active,” “middle,” or “passive”) tells how the action of the verb is related to the subject. Indicative — declaratives, simple assertions, interrogations. 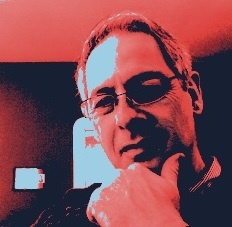 Subjunctive — mildly contingent, hesitating affirmation; mode of probability. Optative — strongly contingent; mode of “possibility,” weaker than the Subjunctive. 4. Person denotes who is acting as the subject. In Greek the personal pronouns (i.e., I, you, he, she, it, we, you, and they) are included in the endings of the verb form. 5. Number is the “singularity” or “plurality” of the person or persons represented by the verb form, included in the verb’s personal endings. 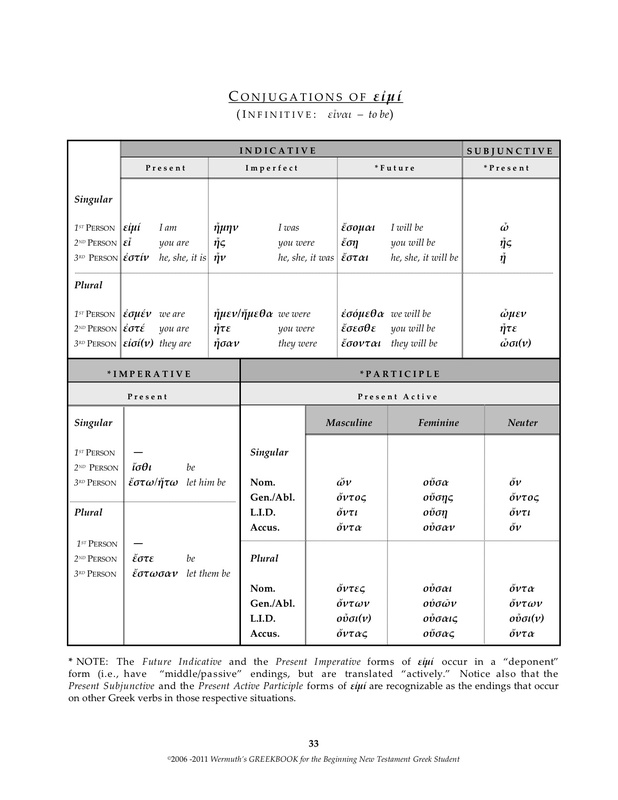 By the way, since every Greek verb contains these five “parsing” elements that identify its structure, it only makes sense to realize that: “If you can ‘parse’ it, you can translate it!” Alternately stated, a verb’s “parsing”—once discerned by the student—is the verb’s way of “telling you” how to translate it. At that point, it’s only a matter of knowing the vocabulary. 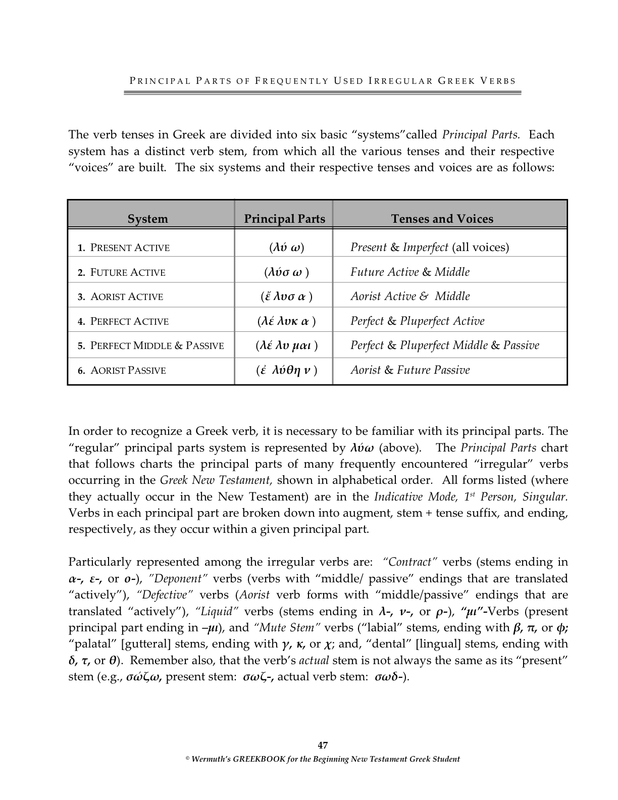 There’s more: For a one-page PDF on Greek verbs—the way the tenses are formed and translated—click here (also downloadable from the sidebar). 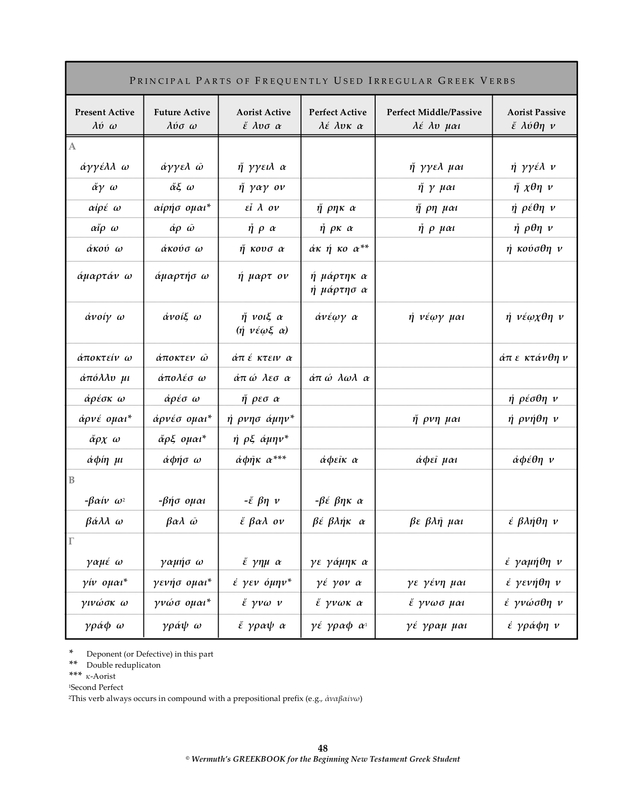 Additionally, you may want to download the Greek Indicative Verbs “PowerPoint” presentation here (or from the sidebar).